Chords and Scales are OpenType symbol fonts for neck diagrams. 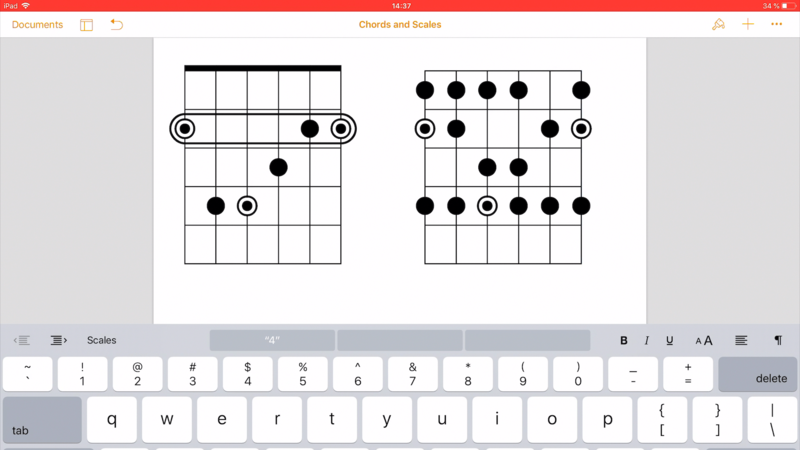 Create precise fretboard diagrams for chords, scales, arpeggios and blank diagrams solely in Apple Pages, Apple Keynote and other eligible applications in macOS as well as on the iPad and iPhone in no time. Beginning with iOS 7 it is pretty easy to add the fonts Chords and Scales to your iOS device and use them in Pages, Keynote, Numbers and other eligible apps such as PDF Expert, Symphony Pro or Pixelmator. The fonts Chords and Scales come with a huge library of more than 10000 editable chord, scale and arpeggio diagrams for guitar which can be dropped into other documents in macOS and iOS at any time. You can save your own custom diagrams and add them to this library. A quick and easy way to insert these diagrams into your documents offers Spotlight Search that comes with macOS. To take advantage of Drag and Drop in iOS 11 upload the Chords and Scales library to your iCloud Drive using your iPad's Split View and Slide Over features. The fonts Chords and Scales work very well in Steinberg’s music notation software Dorico for macOS. Layout custom text frames and write your pin sharp chord boxes, scales and arpeggio diagrams in any size directly in the score. Alternatively use Spotlight and the Chords & Scales library and drop diagrams into your Dorico document. Music notation software applications such as Finale or Guitar Pro have excellent chord diagram libraries. As an alternative add chords, scales, arpeggios and blank neck diagrams easily to your sheet music using the fonts Chords and Scales. 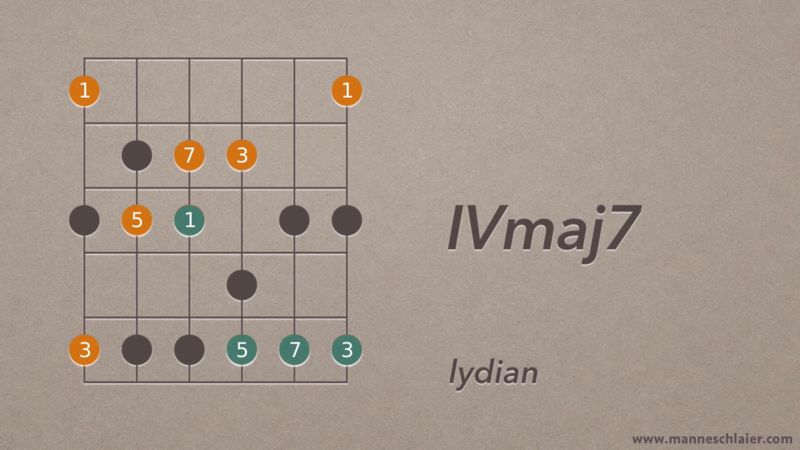 Use the fonts Chords and Scales as handy additions for your custom neck diagrams in Finale. Using the fonts Chords and Scales with Apple Keynote in macOS as well as in iOS lets you create powerful presentations for workshops or the web without importing images or PDF files from other applications.